Strictly speaking “Art Deco” does not refer to an age but a style, which led design throughout all areas of architecture, industrial design and visual arts in the 1920s and 1930s. With no political or philosophical roots or intentions Art Deco was purely decorative; seen as elegant, functional and modern. 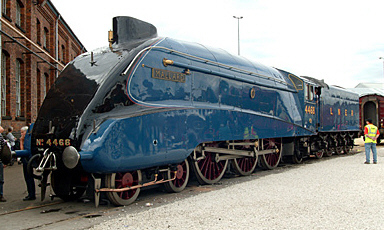 The “Mallard”, a London and North Eastern Railway Class A4 steam locomotive displays many of the Art Deco features mentioned above. Its streamline, aerodynamic shape and functionality was a testament to its time holding the world speed record for steam locomotives at 125.88 mph. Art Deco shapes were based on mathematical geometric patterns. They combined curved and angular designs to give a dramatic look. As far as bathrooms go, especially for women, it was thought to be one of the most important rooms in the house. Opulence and elegance were the order of the day. The Art Deco bathroom was often large which doubled up as a dressing room with a glamorous make-up table, large mirrors or even a mirrored wall. A comfortable chaise-lounge and zebra print rug would not look out of place here. Baths, which were mainly freestanding throughout the Edwardian period, were again boxed in, often encased in sparkly, iridescent glass tiles or mirror. 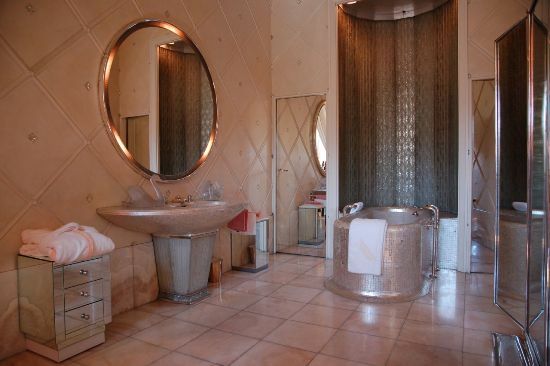 It is not unusual to see freestanding or claw foot baths in an Art Deco bathroom but this is more likely to have been a financial constraint, keeping the bath from the preceding period and decorating the rest of the bathroom around it. The Art Deco sink was pedestal mounted as it could be shaped and moulded into works of art. 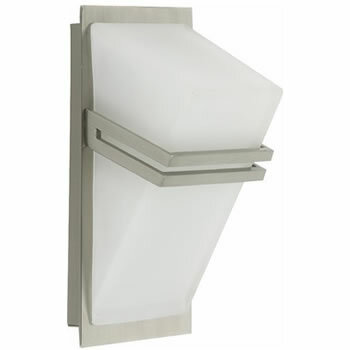 Mainly angular and designed in a ‘v-shape’ or with a staggered, tiered look. 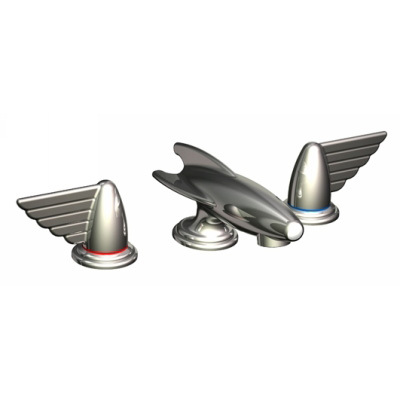 Art Deco taps and accessories were also angular, sometimes of a whimsical shape in highly polished nickel or chrome. Coloured enamels and porcelains began to appear in the 1920s. The most popular colours for of the time were mint green, rose pink and black. For bathrooms the colour schemes were mainly two colour combinations of green and black, pink and black or black and white. 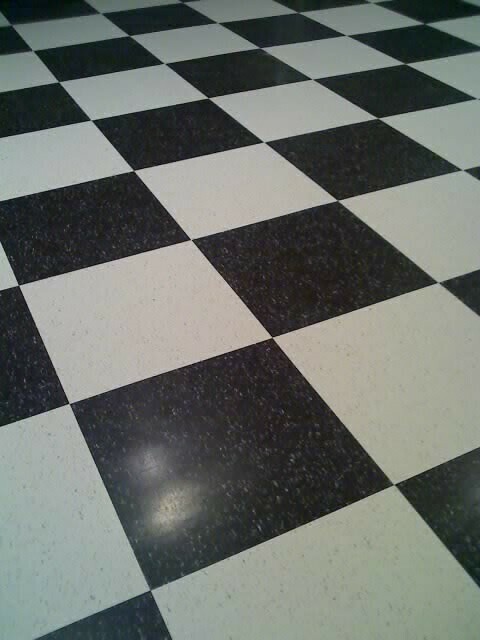 Flooring was either top quality marble or, more commonly, tiled. Tiles were patterned geometric shapes such as zig-zags, chevrons and sunbursts. Octagonal or hexagonal shape tiles were also popular. Walls were tiled with rectangular tiles in green, pink or white with a black border. In true Art Deco style, lighting was a work of art. In the main light was directed upwards. Sconces framed mirrors. Globes were frosted with geometrical patterns embossed on the shade. Art Deco is still considered to be a modern style. Although it’s highly decorative nature does not suit the minimalist or those wanting a low maintenance bathroom. 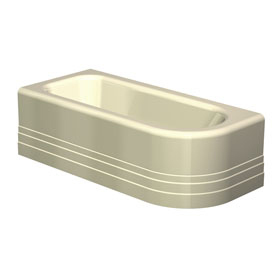 However we would recommend you choose white sanitaryware over mint green or rose pink. « The hidden secret of a great shower: Shower valves.